Last year, we wrote about OSHA's new enforcement focus on violations of crystalline silica rule, which became more stringent in 2017. 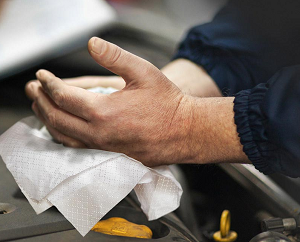 Since the enforcement is ramping up, and fees associated with non-compliance automatically go up each year, we thought a re-post of our last year's blog about using the wet method suppression is relevant. Check out the video added at the end of the blog. Parker 7084 Series Twinhammer hose conveys both air to power the jackhammer and water to spray down the work area to supress RCS. Use for compliance wtih OSHA RCS laws. Use Conversion Kit to upgrade virtually any jackhammer to OSHA compliant tool. Since September 2017, OSHA has required the construction industry to comply with new regulations for respirable crystalline silica (RCS) exposure in the workplace. 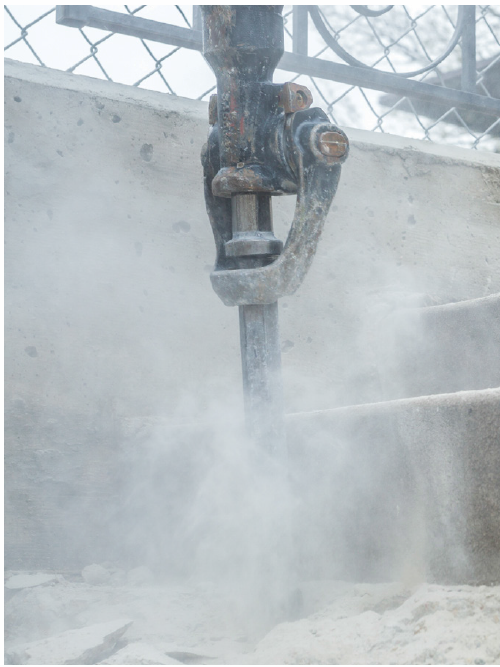 This new standard was enacted to protect workers from airborne silica particles that are generated by grinding, cutting, drilling, sawing and crushing materials such as stone, rock, concrete, brick and mortar. Inhalation of these particles can cause severe health issues including silicosis, lung cancer, COPD and kidney disease. In response, Parker developed the 7084 Series Twinhammer hose and a conversion kit to convert virtually any jackhammer to a tool compliant with OSHA RCS rules. We have written several blogs in the past about risks associated with using equipment with worn-out hydraulic hoses and how to spot the unsafe hoses before they fail. 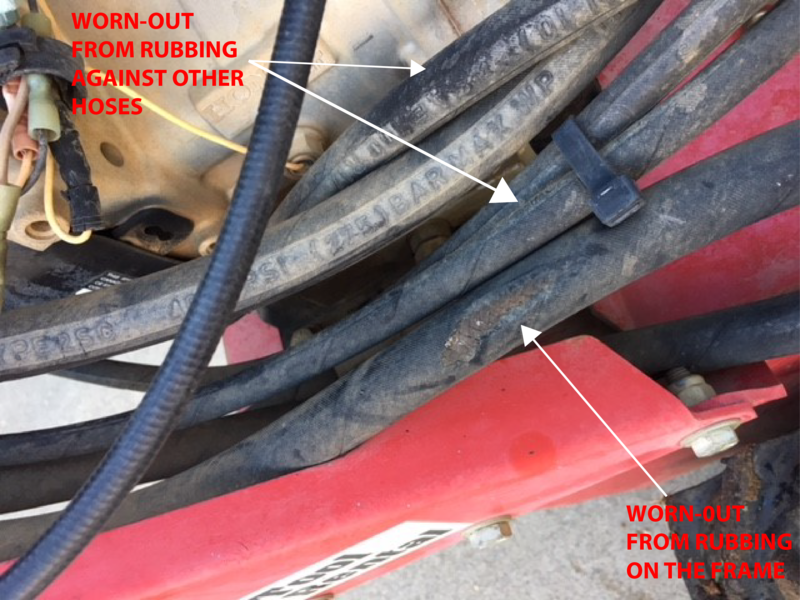 The intended audience of these blogs had been plant managers, equipment maintenance managers, and equipment mechanics, but a recent experience with a rented trencher made me re-evaluate who else should be learning about how to spot an unsafe hydraulic hose. What if you just rent hydraulic equipment from your local rental yard? Just because you are not in charge of its maintenance and safety does not mean that you cannot be affected by a rental company's lackadaisical approach to equipment maintenance. 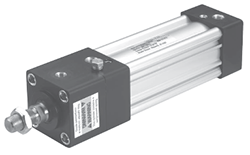 Which is the Best Way to Protect Hydraulic Hoses Against Abrasion? According to Fluid Power Journal article, "Industry and user experience agree 70% of [hydraulic hose] failures are a direct result of abrasion or external damage—yet many could be prevented." Hose assemblies that are exposed to regular cycles of heavy friction must be closely monitored for abrasion damage to prevent equipment failure and protect the safety of your workers. Many over-the-sheave applications, such as forklifts, cranes and scissor lifts, need specialized hose shields and covers to protect the hose from abrasion damage. A variety of abrasion resistance solutions are available through Parker to suit specific needs based on the application and work environment. These solutions include abrasion sleeves, protection shields, spiral hose guards and the built-in abrasion resistant hose covers in Parker’s ToughCover, SuperTough and ToughJacket series. Abrasion sleeves include products such as Parker’s Partek, a lightweight urethane-coated nylon sleeve designed for abrasion resistance and for bundling hose assemblies together. Partek’s unique tubular weave construction allows for the hose to move freely within the sleeve’s exceptionally smooth walls, preventing internal abrasion issues. Partek is available in two versions - Partek “AS”, which is strong enough to withstand over 200,000 abrasion cycles without damage or failure, and Partek “PS”, which can withstand more than 50,000 abrasion cycles. 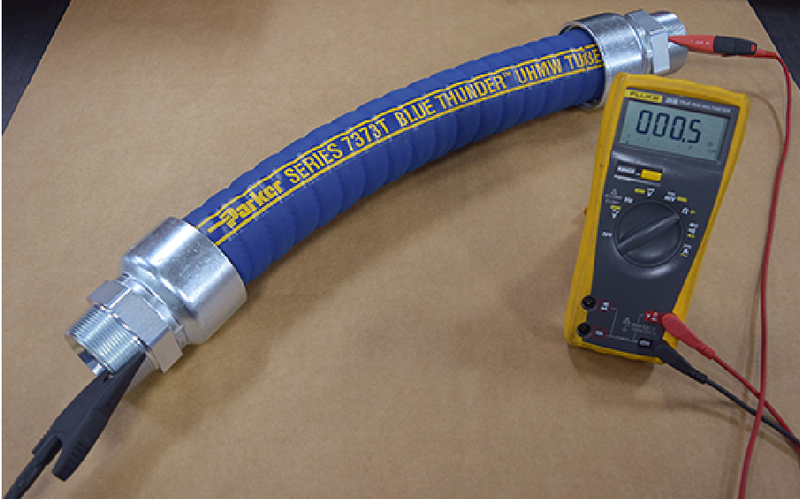 Partek has the advantage of being able to be installed post-assembly, meaning that you can add this product after determining the level of abrasion resistance that your existing hose assembly will need. For more pinpointed abrasion protection, hose shields provide a low-cost solution for small sections of hose that come into contact with abrasive conditions. 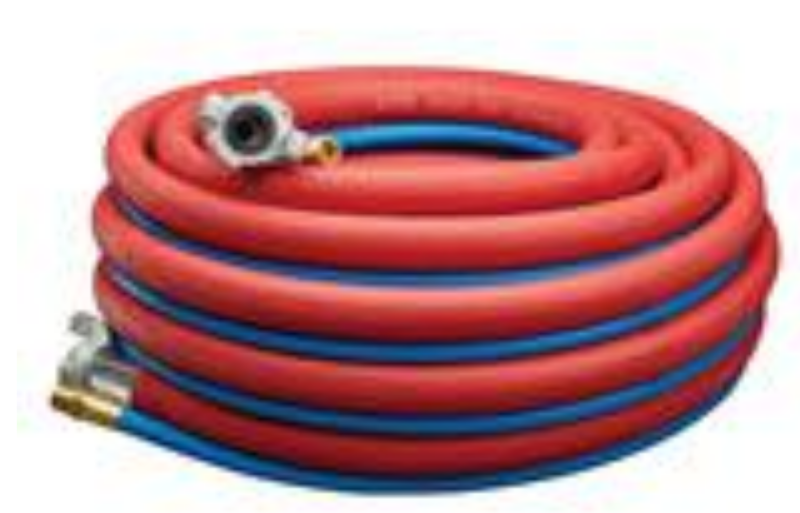 The plastic shields are connected with cable ties for easy assembly that does not require disconnecting or removing the hose prior to installation. Hose shields are available in 4, 6 and 8 inch lengths for hose I.D.s of ¼ to 2 inches. Hose shields are not recommended for applications that experience heavy abrasion, particularly if more than just a small segment of the hose assembly is exposed to frequent friction. Parker Spring and Armor Guards can prolong the life of hose assemblies that are exposed to rugged, abrasive conditions. These protective spiral guards are available in a variety of materials and configurations, including clear vinyl, black vinyl, and flat steel. In addition to their abrasion resistant properties, Spring and Armor Guards also prevent hose kinking and provide anti-crush protection. Parker also offers several polymer spiral wraps that can be added to an existing hose assembly, including the NEXWRAP chafe guard, ParKoil spiral wrap and the PolyGuard heavy-duty hose protector. NEXWRAP can be used to bundle hose, tubing, cables and wiring, protecting the lines from exposure to abrasion. The open spiral design allows for parts of the bundle to be removed without the need to shut down equipment first, preventing downtime. Similarly, the ParKoil polymer spiral wrap can be used to bundle equipment and provides a low-cost solution for abrasion resistance in less-demanding applications. Finally, PolyGuard’s rugged polyethylene cover provides superior abrasion protection and is ideal for bundling high-pressure hose lines. For the most demanding applications, built-in abrasion resistant hose covers provide the highest levels of protection. Parker offers multiple hoses in their ToughCover, SuperTough and ToughJacket series – you can find more information on each of these hoses on our new Abrasion Resistant Hose selection page. ToughCover is constructed from synthetic rubber and is 80 times more abrasion resistant when compared to Parker’s Standard rubber cover, SuperTough provides 450 times more resistance, and the ToughJacket series is 650 times more durable and abrasion resistant when compared to standard rubber hose cover. Which abrasion-resistant hose protection should you choose? The answer depends greatly on your equipment’s specific needs and how much friction the hose assemblies will encounter. For example, in boom and cable track applications, the 563TJ hose is ideal due to its low length change characteristics. The majority of hoses shrink at least 2% in a constricted environment, which can be disastrous in booms and cable tracks as this shrinkage must be prepared for to prevent hoses from pulling out of fittings. Equipment with over-the-sheave hose assemblies can benefit greatly by selecting a tough cover hose. Forklifts, scissor lifts, bucket lift trucks and reach stackers are just a few industrial applications where hose assemblies encounter numerous cycles of abrasive friction. Available space can also be a major factor to consider when selecting abrasion protection for your equipment. In tight, constricted spaces or in applications where adding extra weight is a concern, using a hose sleeve or guard may not be practical. Abrasion resistant tough covers can reduce the overall assembly weight and their flexibility allows routing through tight spaces. Alternately, hose guards and wraps may be used if the friction encountered is relatively minor and protection needs to be added to an existing assembly. The U.S. Occupational Health and Safety Administration (OSHA) has created a new standard to address the problem of crystalline silica dust control associated with pneumatic jackhammer and breaker operation in the construction industry. The mandated compliance date of the new silica rule has been postponed to September 23, 2017. In reaction to this new rule, Parker has developed the 7084 Series Twinhammer™, an air-water jackhammer hose which helps companies comply with OSHA's crystalline silica dust control guidelines. Unlike other silica dust suppression systems, Twinhammer™ assemblies are constructed as a unitized, low-maintenance solution that can be easily integrated into construction applications affected by this rule. 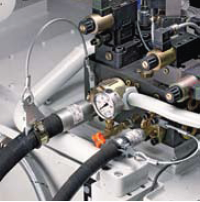 While hose failure occurrences can be minimized with the best practice of regular maintenance, including checking hydraulic hose assemblies for wear and damage, there is no guarantee that they will never happen. Total failure of hose assemblies are relatively infrequent, but when they do happen, they can cause serious damage to equipment, and injure or even kill nearby personnel. Hose and coupling connection is critical to the safe performance of any hose assembly, but the practice of using hose and couplings from different manufacturers to fabricate industrial hose assemblies poses some underappreciated risks.